You always make me miss our goats! Our homestead is full enough with the steers, chickens, milk cows, ducks and the pigs we always raise over summer. Still, I do miss our goats. Thanks for the great info on the grain sprouting. Interesting, I've often thought of doing it for the chickens but never the sheep. I'm sure both your chickens and your sheep would love it! Interesting. I can see why it would cut it in half. Double the food action. Exactly, and while increasing nutrition. A win-win, don't you think? Although we've sprouted for our own consumption, kinda sporadically, right now we're working on getting a dedicated sprouting area set up. 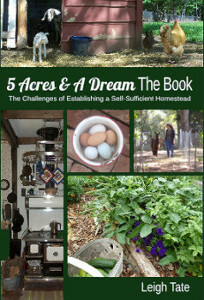 Big enough that we can sprout for the poultry and, eventually, any other homestead animals we may add. Have you tried sprouting sunflower seeds? You must use ones specifically grown for sprouting for human consumption rather than using ones sold as "bird seed." They are planted in trays of dirt, grow quickly into the crunchiest, greenest, tastiest, little sprouts you can imagine. When I was sprouting last summer, I used my basic grain mix which included black oil sunflower seeds. They sprouted! And the goats loved them. I understand corn can be sprouted as well, but takes longer than the other grains. I'd like to expand to include the poultry as well, but my biggest concern right now is that hot weather will bring an end to it for the summer. Very interesting and I'd love to know exactly how you're doing the sprouting, Leigh. 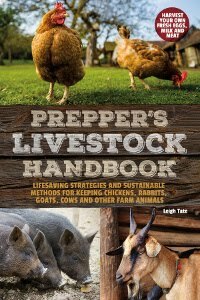 Cutting my grain bill - and the fetching and carrying, especially in winter - would be a huge help. I guess I figured folks would know how - sorry! I measure out half-a-day's grain into a small bucket and cover with warm water. I've been doing this in the morning and letting it sit all day before draining, but it could be soaked overnight instead. Drain and keep them damp. I use the screen bowls, but many people seem to use buckets with drainage holes added and one person used a pillow case. I give them a stir with my hands once a day and water if needed. When they are 1/8 to 1/4" or longer sprouted they can be fed. As long as they smell okay (earthy) they're good to feed. Some people report that their goats don't care as much for the sprouts as dry grain. I had one doe like that, so I mixed them with the unsprouted grain at first. Since forage is limited this time of year, they're hungry at feeding time so it didn't take long for her to scarf them down too. When our weather warms up it will likely take less time to sprout and I'll have to rinse more frequently to make sure they don't go off. I've also read that adding apple cider vinegar to the soak water helps deter mold, so I'm probably have to try that as well. Also read that spreading them out more (as in a tray) helps reduce mold and off smells in summer. I haven't tried either of these but now that I've got my routine, I'd love to continue sprouting! Agreed. The next step with the sprouts is to pour them into a large tray and allow them to grow into grass a couple inches high - fodder! I'm collecting information on fermenting feed but haven't tried it yet. Makes more sense to grow our own probiotics than to buy them. Thanks very much for the details, Leigh - much appreciated. I have never sprouted anything in such quantity, and didn't want to just give it a shot and risk wasting a bucket of oats. In winter I often sprout lentils in a quart jar for myself and the chickens, and I have trouble keeping just that tiny amount of seed from smelling "off" despite frequent rinses. But now I will try your system for the goats and see what happens. My grain bill really adds up. Thanks again! You're welcome Quinn. Funny I didn't think to add the details in the post, I just figured most people knew how to sprout. In thinking back about my own jar sprouting, however, it seems to me that that method lends itself to the sprouts going bad quickly, probably because they don't get enough air - too enclosed even with a screen top. With my screen bowls they're easier to stir. That seems to help. I admit that I'm not sure how well this will go once our weather gets hot. Im really not buying so much grain and would like to keep it that way! It isn't my day. This is the third time I have tried to post to this and each time my lap top has magically eaten it. Third time is a charm lol. I have combined fermenting and sprouting to become fodder. Ferfoddering? The chickens love it the buck goats love it the does not so much in the first couple of years. May be the girls are spoiled but I am starting year four of my ferfoddering and we will see how they like it this time.